The dog days of summer barked outside, but inside was chill at Juices for Life, in the Bronx, where Love is Love. Yes, it was hot. The day when summer first reminds us what really hot is after initially just gloriously warming us up. But, I was on a mission and was not to be deterred. It had already been a year or more since I learned that two hip-hop musicians had opened some juice bars in low-resourced neighborhoods–in Yonkers, the Bronx, and most recently in Brooklyn. Music coupled with a healthy eating initiative ignited by love sings to my soul. So when this came to my awareness, I was determined to pay a visit to one of their Juices for Life businesses, and an opportunity had finally presented itself. Styles P with Jada’s Kiss, cool inflammation’s heat with nature’s nectars. To start with, I had to know who were these guys, Styles P, and Jadakiss? To find out meant calling my son. Once again, he would need to rescue his unhip mother. Apparently, these two Yonker’s natives were founding bandmembers of The Lox. Their hip-hop careers began back in 1994–who knew–while they were still in their teens. Along the way, Styles P abandoned the smoked salmon with bagel and cream cheese and ascribed to a vegan lifestyle–including the preparation of vegetable juices. This he credits for a transformative change in his health and mindset. Jada Kiss was thus also inspired. In this must-see video, the artists explain that they are constantly asked to invest in various ventures and why they chose to bring healthy food to the hood, committing themselves to access and education. In other interviews, Style P’s message is also infused with his concern for families–with an emphasis on children and elders. And, he urges people to begin finding ways to juice and blend at home. Finally, the time had come. In the video, a man says that if you don’t know who Styles P and Jadakiss are, then you must be living under a rock. So, a few weeks ago I shoved my rock aside and headed down to Manhattan to visit my son. I’d forewarned him that on the agenda was an outing to the juice bar in the Castle Hill neighborhood in the Bronx. While we’d discussed this before, he was a little surprised that I was really serious. Off we went and headed deep into the subterranean underbelly of the sweltering city to catch the first subway. Whatever air there was down there was thick and heavy, and the wait for the train on the crowded platform was trying. But things got better as we transferred to the Uptown 6, which would carry us to our destination. Miraculously, it was an express train, adequately air-conditioned and without too many passengers. The train streamed along, and at the far reaches of its tentacled line, it emerged from underground and rose to its elevated height. I looked out the windows as we crossed the Bronx River and was afforded wide views of the urban industrial landscape. Exiting the station, we found ourselves in the glaring light and searing heat of early afternoon. As we walked the few blocks down a commercial corridor, the streets were pretty deserted either due to the heat, or that it was a Sunday and many of the businesses were closed. Filling the cracks of lack, helping people to feel good. However, once we found ourselves inside Juices for Life things were chill and there was some good energy. The set up was simple. A counter, a cooler filled with produce, shelves filled with protein and nutritional powders, and some stool seating. Initially, there were just a handful of customers, so we were able to take our time reviewing the varied menu of juice, smoothie, and shot options and placing our order. The counter person, Akil, was very friendly, and gladly abided my many questions. I was pretty hip to everything on the menu except for its offerings of sea moss and bark. Our juices came quickly, and we sat to sip. Suddenly the place filled with a wave of people, including a street detective. There were obvious regulars and newbies alike. A woman told us that the place is usually busy and attributed the lull to the heat. I watched as the juicing staff of three plus the veggie prepper who kept the cooler stocked, choreographed their steps, spinning and dosey-doeing with each other. They moved quickly to fill the orders, loading the whirring juicer and blenders, and gracefully catching and pouring the colorful elixirs. Their Juices for Life company T-shirts reminded that Love Is Love. We stayed for about an hour talking with both staff and customers and sampling some shot concoctions. We learned that both rappers visit the store, but Styles P is there more regularly. A wall plaque honors him for his contribution to the community. The Juices for Life website explains its mission of bringing health to ‘poorer communities’ by ‘letting food be its medicine and medicine be its food’. This is a worthy and deeply profound mission. Freshly prepared juices from a bounty of different vegetables and fruits provide our bodies with an easily assimilated and powerful source of essential nutrients. They are a balm to the nutritional needs of our cells required for optimal health, and a salve to the nutritional abuse and violence these cells have been prey to. It was really beautiful to witness the communal toast of good health that each cup of juice provided to all who were there that day. Training back, I wondered how viable could such enterprises be. Could juice bars become as ubiquitous as the fast food joints, liquor stores and bodegas that are known to populate such communities? Is the five to six dollar price per glass–which is cheaper than at many similar places–still too much for many to make for a sustainable habit? Or is that cost actually cheaper than many other commonly purchased unhealthy products? I believe that such initiatives contribute to sowing the seeds of change. And, that education and empowerment will promote changes in disease prevention and the delivery of healthcare. For now, I would love for there to be the opportunity to allow persons who receive SNAP Benefits to be able to redeem them for juices, similar to their expanded acceptance at Farmer’s Markets. Next, I’d like to see juicing kiosks in more places–such as community markets, health clinics, and hospitals. And, and for more cultural icons to use their celebrity to endorse and support health-promoting activities. To Styles P, Jadakiss, and all those who are making this happen, I thank you. Just one thing, if I may–it looks like you could use an additional juice machine. And stay posted, my next trip to the city may include a visit to Brooklyn, to check out Francesca Chaney’s Sol Sips. As always, I’d love to hear your thoughts, ideas, and comments–and to feel your love. Related Posts: Nutritional Violins, Dance of Diabetes, Where Has All The Produce Gone? MyPlate Rap: The dog days of summer barked outside, But inside was chill at Juices for Life, in the Bronx where Love is Love. Forgive me the ruse of exchanging the word violence for violins, as did Emily Litella (Gilda Radner) on Saturday Night Live years ago. In the skit, Miss Litella gives an impassioned editorial response to a story about parents objecting to violins on television. Chevy Chase eventually interrupts and informs her the story was actually about the “violence” on television. “Never mind”, she replies. Well, I wish this was about violins–it would sound much nicer–and we wouldn’t have to mind. 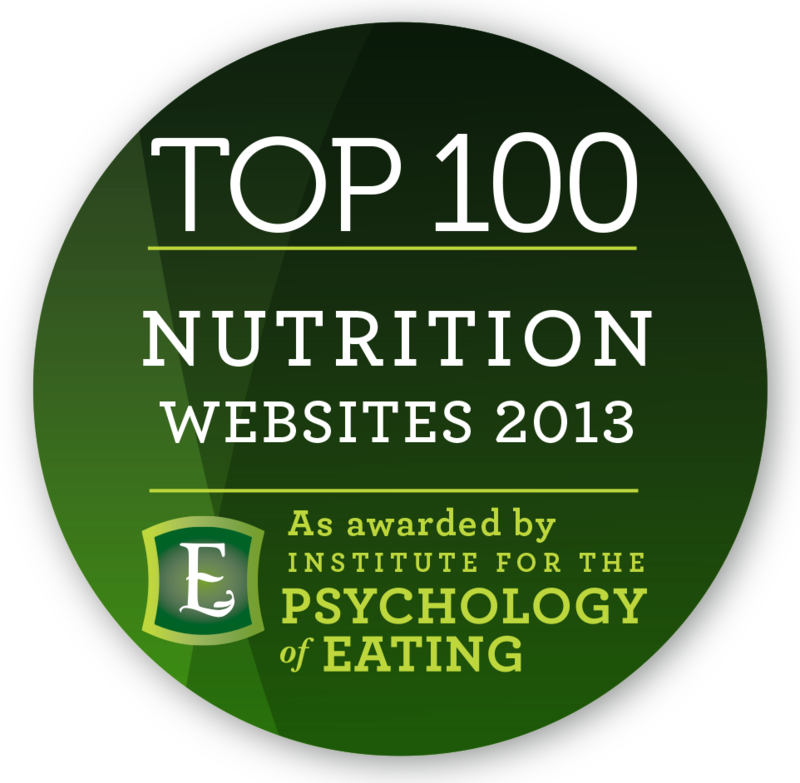 Three years ago, I came upon an article that referenced the term nutritional violence. I had never heard this term before, but it gave a label to what I had considered the glaring basis for what was gravely compromising the health of our populace. I made a mental note to further explore that issue and bookmarked the link so that I could reference it when ready. Actually, the following is the only dietary information I have on those who have pulled the trigger: in limited media details on the Parkland shooter, I heard he was apprehended after the shooting having a soda at a local mall; the YouTube shooter was a vegan; and Dan White, who killed Harvey Milk, invoked his diet change from healthy foods to Twinkies and other sugary foods as part of his defense, claiming their consumption was symptomatic of his depression. While my own data is thus limited, and yes, I was shocked and chagrined to learn of the vegan’s destructive rage, there is other evidence of the association between the composition and constituents of one’s diet (or lack thereof) and behavioral impacts–including violence. Studies have demonstrated the decrease of violent behaviors through dietary and nutritional manipulations in prisons and in schools. Interestingly, schools were the first institutional settings where large scale attention to nutritional improvements was made–though those efforts continue to be challenged and there is still much work to be done. I was reminded this week of the disconnect between our institutions and communal well-being in an article in The New Food Economy on “lunch shaming” whereby students whose families cannot afford to pay for school lunches are stigmatized and either denied food or offered an inferior meal. The article quotes Christine Tran, school nutrition equity advocate, who states, “School food is often not seen as a school issue, which is a problem philosophically within our country.” One might broaden that statement to reflect many other environments. While I have witnessed school lunchrooms and have written about this previously, I have not been privy to a prison chow hall. However, I have engaged in enough conversations with those who were previously incarcerated, and those in drug treatment programs to have a pretty good sense of what is going down. It is sad to see how seriously overlooked nutrition is as an adjunct to healing. I bring your attention to two papers (here and here) which describe how poor diets and nutritional deficiencies may be risk factors for aggressive behavior and solutions to address this grave problem. The usual, along with the not so recognized, culprits are to be found on the list of troublemakers. By addressing nutrition as it relates to the promotion or provocation of behavioral violence, I may have strayed here from my intention to discuss nutritional violence–nutrition that violates individuals and communities, but the two could be conflated. If we have been able, with only short hindsight, to witness the profound impacts of our modern adulterated foodstuffs on physical health, it should not be a huge leap to consider the mental health consequences as well. An increasing understanding of that which affects the brain–and the brain’s relationship with the human gut microbiota–provides insight not only into our physiology and metabolism but into our moods, emotions, cravings and other behaviors as well. The nutritional violence I was initially thinking about is not perpetrated by guns, but by our food system and the purveyors of its policies and products. It does not kill its victims point blank, but, it robs. It robs people of access to basic food required for physical, emotional and social health and well-being–and disproportionately it does so to the poor. We might credit that our food system does not starve its citizenry, leaving it victim to gross nutritional deficiencies causing widespread blindness, stunted growth and kwashiorkor as in other parts of this world. But, it is certainly acknowledged that it has inflicted harm in its own and profound way. I hope I do not have to try too hard to convince that there is some essence of violence in the above, nor that such suggestion be considered hyperbole. One may have to close their eyes for a moment to imagine and appreciate more deeply the collective impact. But, then also, to go one step further, and to consider how our food system more deeply affects communities already burdened by injustice. Quite coincidentally, after I started this piece, I saw that my old friend Mark Hyman, powerfully addressed this very topic, in a talk titled, Our Food System: An Invisible Form of Oppression, that he gave last week on the occasion of the 50th anniversary of Martin Luther King’s assassination. He gets to my point better than I could, outlines the profound consequences of this oppression, and reaches a much broader audience. I thank him for his attention to this matter and for sparing me my final paragraphs. There are many others who also address similar concepts in various ways and with different names, such as food and race; community safety and nutrition; oppression through poor nutrition; gender, nutrition and the human right to adequate food and nutrition; food justice; and food sovereignty. There is much serious content packed in here, but all worthy of review and consideration if this is of interest to you. As always, drop by, say hi, subscribe and please share below any experience of nutritional violence you may have encountered. Take a peek at Emily Litella’s funny tirade on Busting School Children — which may be sadly relevant. MyPlate Haiku I often wonder What did they eat for breakfast? Those who go and kill. My dilemma and I were minding our own business at home, when suddenly an image of a Coca-Cola bottle, or what I thought was a Coca-Cola bottle appeared in the sidebar on my computer. However, the accompanying words said, “This is not a Coca-Cola. It is an experience.” Really? It certainly looked like a Coca-Cola. While still confused, I was also informed that for Coca-Cola, experience goes far beyond the first sip, and that I should make ‘experience’ my business. With a little click, I found myself face-to-face with Coca-Cola’s VP of Global Design. He told me that they sell almost two billion, (2,000,000,000) servings, excuse me, ‘experiences’ a day. And thus, on a digital platform, he would like to have two billion conversations a day, because brands need to listen to their consumers who are all apparently craving choice and innovation. If so, I hope he is fluent in Twi, one of the Kwa sub-groups of Niger-Congo languages, spoken in Ghana. In 2016, Coca-Cola launched a major initiative in Accra, called Taste the Feeling. It seems they were feeling bad for the millions there who had maybe not been privileged to enjoy the ‘experience’. Interestingly, a group of public health researchers has already done a little study accessing the marketing of non-alcoholic beverages in outdoor ads (visible signs) in a small section of Accra. Of seventy-seven ads, sixty percent featured sugar-sweetened Coca-Cola products–some fraction of which are near schools and feature children–I mean consumers, or soon to be ones–begging for conversation. My dilemma caught my eye, knowing that this Mr. James Sommerville, would most likely not wish to hear from me. Given that it has been about forty-something years since my last sip, I could certainly not claim to be a consumer, thus depriving the company of that 2,000,000,001 serving. Ah, but he had certainly provoked my ire with this seductive, manipulative, alluring message about the right friends, the right time, the right glass–and the tingle. Might I suggest that he is high fructose corn syrup coating the ‘experience’ or seeing it through caramel colored glasses–with a blast of phosphoric acid and caffeine. Or, that he has drunk too much of the figurative koolaid– aka the company’s addictive secret syrupy recipe. While it is certainly possible he may have already seen my anti-Sugar Sweetened Beverages (SSBs) rants, it is not likely. If not, maybe, because like me, he’s recently been watching the 9-Part Docuseries, iThrive, Rising from the Depths of Diabetes and Obesity. But, I don’t think so. If anything, back when I was writing more about this topic, he may have been concerned with the efforts of the Global Energy Balance Network (GEBN), a Coca-Cola funded non-profit, engaging scientists in the promotion of energy balance and exercise as the solution to obesity, thus underplaying the evidence on the impact of SSB’s. While founded in 2014, the GEBN was disbanded by the end of 2015, after a New York Times article brought attention to public health authorities’ concerns about its corporate influence. A recently published essay provides some greater insight into the company’s intentions by shedding light on some of its internal documents. Or, I don’t know. Maybe lately he’s just been busy globally designing alcopop drinks in Japan. (My dilemma, just gave me its ‘you’ve got to be kidding me’ look. No, I am not kidding.) But, whatever, he is up to something–and I don’t get it. Even though he was looking right at me, he lost me at “physical analog world” and “push work out to the market”. I know this is nothing new, but call me naive. What’s up here? Does Coca-Cola have to weasel its way into every mouth on the planet–ruining perfectly good teeth, or worsening not so great ones? Not to mention incurring potentially more harm. Why such deliberate cunning? Is this not loca? A few years ago, I wrote about my dismay regarding Coca-Cola’s marketing ploy of placing common names on their labels. Interestingly, as I was delving into the Ghana campaign, I came upon a story that there was a proposed boycott of the brand in the country. I had a touch of health promotion optimism upon seeing the headline. But, apparently, the boycott was due to the fact that the names that the company had placed on the labels in Ghana, were names more predominantly found in the southern part of the country, and did not include the more common (and Muslim) names of its northern reaches. Oh, dear lord. Well, here is my solution to that problem. Why not put only the names of the executives, such as James, on the labels? This way, consumers will know whom to contact directly should they need any assistance with their health or dental issues or geopolitical concerns. It is most obvious to look at the rapid increases in the prevalence of obesity and diabetes around the globe as indicators of our health crises influenced by our dietary behaviors. And, yes, according to the latest survey data (published just last week), here in the US, we are still getting fatter, while the food industry giants continue to fight hard against public health measures. But, there are also other implications of the manipulations of our dietary environment by corporate interests. In recognition of this weekend’s global marches against gun violence in our society, I had wanted to explore the topic of nutritional violence, but this guy cut into the front of the line. Bully. But, I will get to that next. They may be related. Please stay posted. Send word, subscribe and be well.